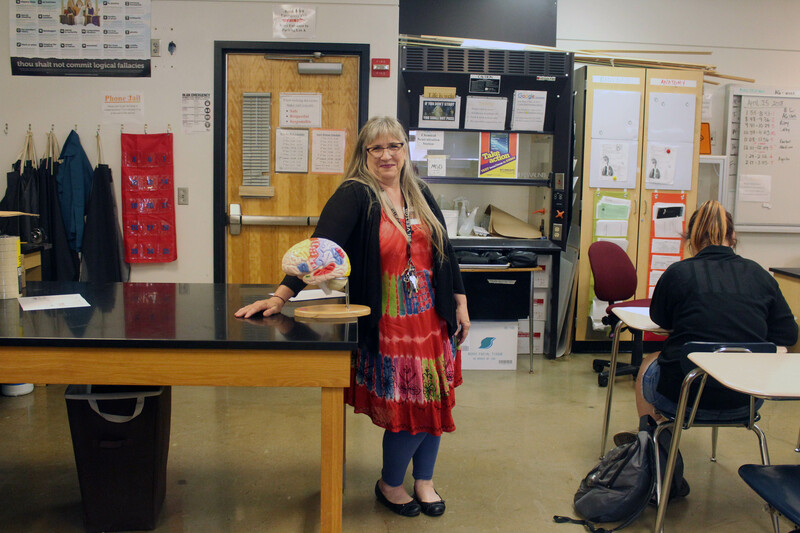 On March 3rd of this year, Shari Read, Science teacher at Silverton High School, accepted an award from the Oregon Academy of Sciences. Nominated by SHS Principal Wade Lockett, Read received a well-deserved recognition as one of Oregon’s Outstanding K-12 Educators. Read has improved learning for students through exercises such as DNA extraction and transformation. She is also currently the advisor of the SHS Environmental Club, engaging students in additional learning opportunities and community clean-up. Furthermore, Read was applauded for the relationships she has formed with the Oregon Gardens and other organizations in order to provide hands-on field studies for students. Not one to settle for old practices or techniques, Read has integrated technology into her classroom through participation in the Intel Teach to the Future Program. “We are proud to have Shari Read as part of our Silverton High School Staff. Congratulations again Shari, and thanks for all you do!” said Silverton High School Data Specialist, Heidi Eberle. In the future, Read hopes to continue improving student learning through a collaboration with Linfield College that will result in college chemistry student visits and event participation. This partnership will include a reunion with Oregon Academy of Science President-Elect, Andrew Baggett, who is a Silverton High School alum that now serves as an Assistant Professor of Chemistry at Linfield College.